1. 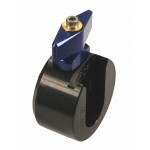 A Frame Clamp Inner Piece attaches directly to the wheelchair, either around the frame or being bolted to the side. 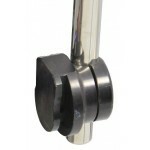 We have a wide range of Inner Pieces to fit many different models of wheelchair and sizes/shapes of frame. 2. If required to create more room a Link or Spacer might be attached to the Inner Piece. This is not always required but in some cases may be necessary to navigate around obstructions, or for more precise positioning. 3. 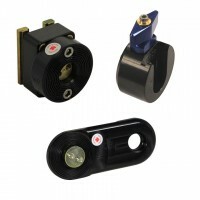 The Frame Clamp Outer Piece attaches to the Inner Piece, or to the Link or Spacer if one is used. 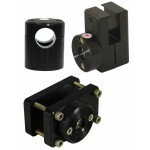 This provides the outer edge of the frame clamp for the mount itself to connect to. 4. An Outer Connector completes the Frame Clamp Assembly, being attached to the lower end of the mount's vertical tube and enabling connection to the Outer Piece to use the mount on a chair.